For pricing information, please fill out the form below. 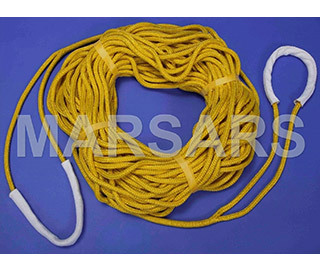 We offer 1/2″ diameter yellow Double Braided Nylon towline. Both ends feature large 2′ tow eyes with movable chaffing. All eyes are factory spliced and lock stitched. Bridles are used for towing sail and larger recreational vessels. 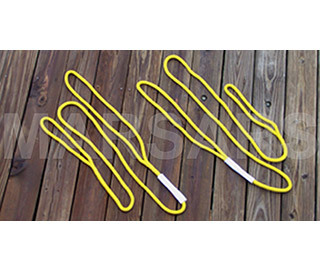 With this kit, you’ll receive a pair of 10′ x 1/2″ diameter double braided nylon Tow Bridles. Each leg includes movable chaffing, and large 2′-length eyes. 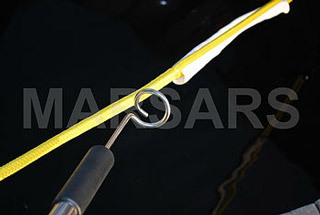 Unlike conventional thimbles, this connector assembly is easily installed into or removed from the towline’s soft eye. 1.1 Ton Working Load. 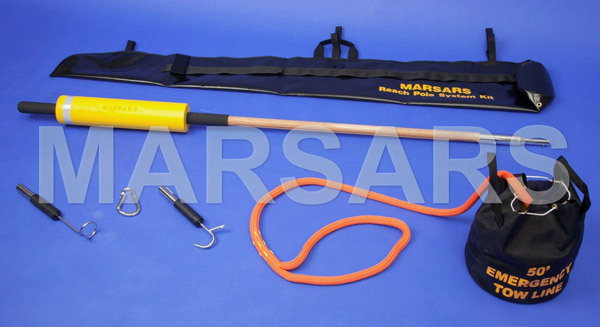 This system provides the essential components needed for safer, small boat towing. And yes, I know, many public safety customers do not tow but hey, I have a pretty good idea you will do what’s needed to save lives aboard an imperiled vessel that is headed towards danger. 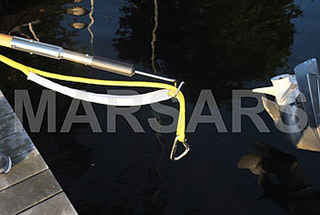 With boat hook adapter attached, buoyant pole is used to fend boat away from danger or pull boat to safety. 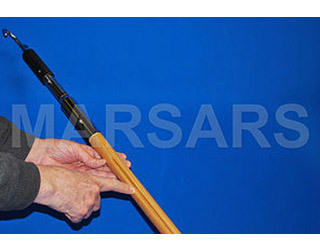 Ideal for small lightweight tows such as personal watercraft. 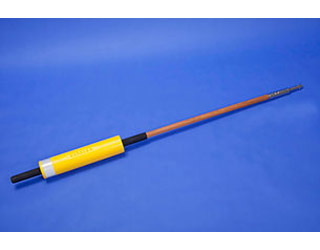 The boat hook is an essential safety tool that is needed to fend your craft away from danger or pull it to safety. 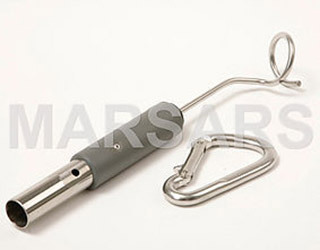 For use at night, boat hook features a pencil groove that indicates hook’s direction of attached adapter. 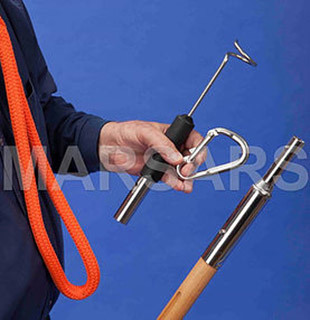 This unique Skiff Hook eliminates the unsafe practice of having to lean overboard to detach the hook. 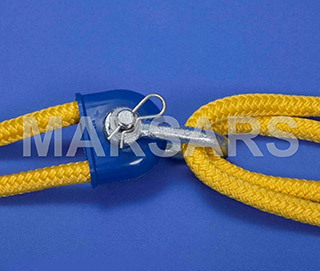 The use of buoyant towlines has become a norm for the professional small boat towing community. Towline/propeller entanglement is a common risk that all inexperienced public safety boat operators must fce. 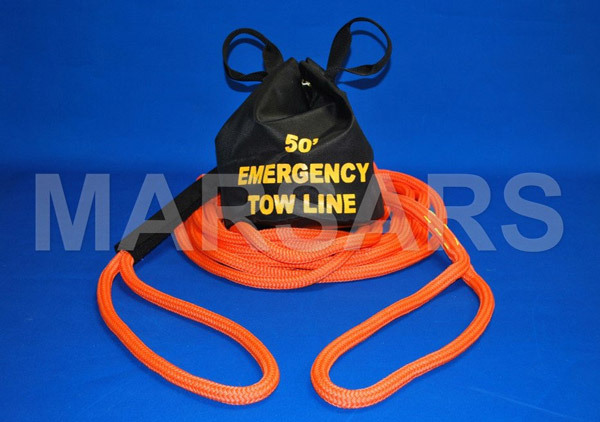 To minimize this risk, we offer several high quality buoyant tow line kits of 9,000 lbs. minimum breaking strength. Grab points of all spliced eyes come with a chafe protected coating. Fill out the form below to get pricing information.